Over the years, teen drama has become a genre that’s slowly faded out of style, but a drama with a different spice has put the genre back into the spotlight. Online streaming platform Pooq’s Web drama “Page Turner” is gaining attention with its well-written plot and aptly depicted emotions of teenage years. The three-episode drama is also simultaneously airing on satellite network KBS2, with viewership slowly rising. The plot revolves around a piano prodigy who goes blind after a car accident. The tragic prodigy is played by actress Kim So-hyun, who immaculately portrays a sight-impaired teenage girl struggling to get her life back on track. Actor-on-the-rise Ji Soo stars opposite Kim, as her helper and an aspiring pianist. Rookie actor Shin Jae-ha plays Kim’s former rival, who becomes a supporter after she falls from the top. Only one episode remains in the miniseries, and fans are speculating for a heartfelt ending, as with most teen dramas. However, what sets this musical drama apart from others is in its depiction of teenage emotions. The three actors’ portrayal of jealousy, peer pressure, innocent selfishness and inability to face their own fears laces the drama with youthful energy. How they treat their personal problems is another high point of the drama. 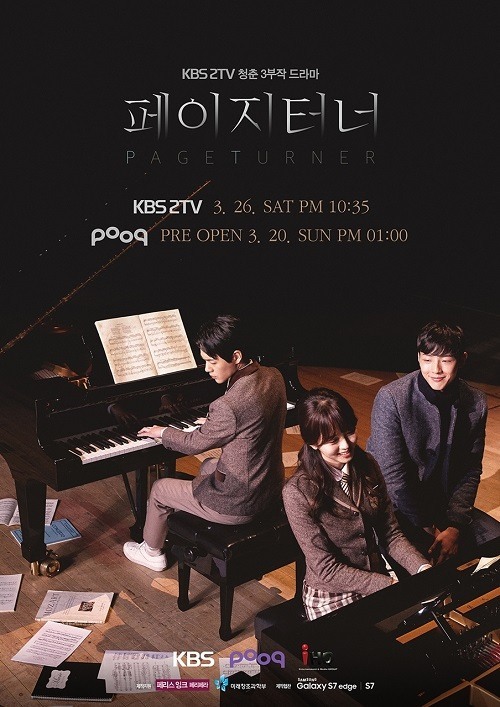 The finale of “Page Turner” will air this Saturday at 10:35 p.m. via KBS2 and online streaming platform Pooq.